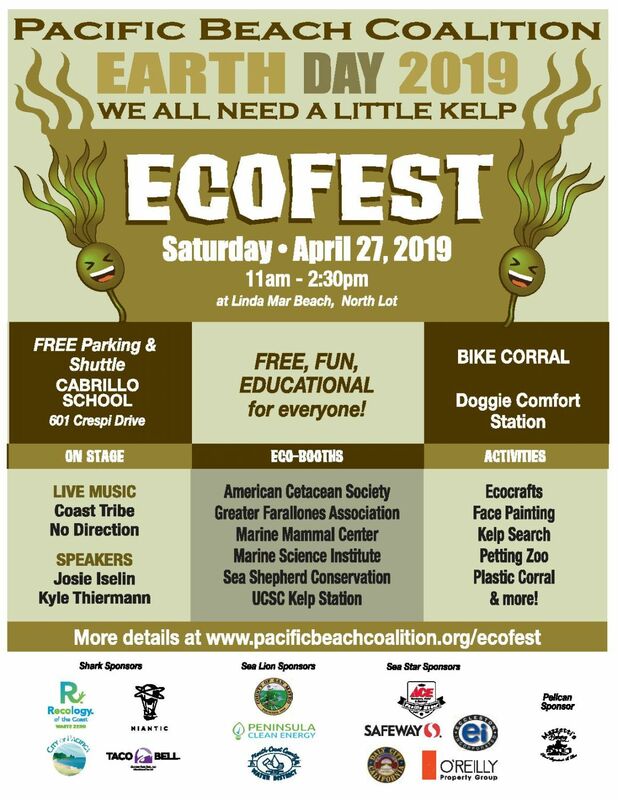 Set near the Linda Mar State Beach, the EcoFest attracts hundreds of visitors each year. This annual event is dedicated to improving and preserving the health of our environment, while educating our community (Bay Area residents, family, schools, youth groups…) through our fields program and connecting them with businesses and non-profits like you. Thank you for your interest in becoming an Exhibitor/Vendor for Earth Day of Action & EcoFest 2019. Fill out this online Exhibitor/Vendor Registration Form and complete your registration on PayPal. Priority for participating in the EcoFest will be given to groups with an environmental connection to our mission. An email will be sent out confirming your payment. An email with instructions for the day with parking pass will be emailed the week of the EcoFest. There are many different types of booths at the Festival. Please read in order to pay the correct registration fee. Booth space will be assigned on a first come basis so apply early! This year we won’t provide tables or chairs. We will have a “limited” amount of tents for an additional $25. If you can provide the tent, table and chairs we would really appreciate your help. Do you need a tent? If so, click on “Add to Cart” – Only 1 per booth. You may also pay by checks payable to Pacific Beach Coalition. 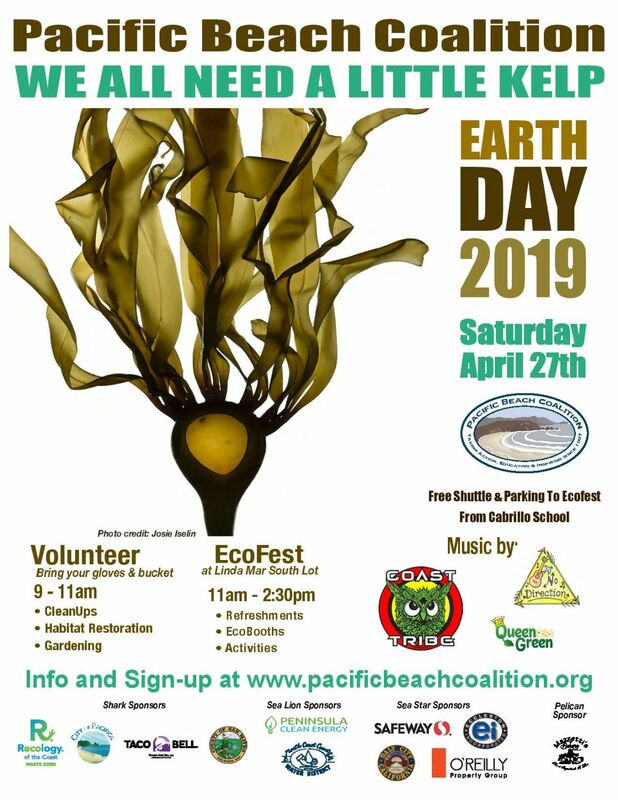 We would love to promote you, so please contact Paula at paula[at]pacificbeachcoalition.org with a description of your cause, website and a picture of your product and logo. You can also contact Paula if you have any questions regarding our Exhibitor/Vendor registration process. We would like to thank you again for your participation and helping us making our Coast greener. If you want to have a booth next year, we can add you to our list by contacting Paula. Thank you!